Lightning is the “visible discharge of static electricity within a cloud, between clouds or between the earth and a cloud,” as defined by Underwriters Laboratories. 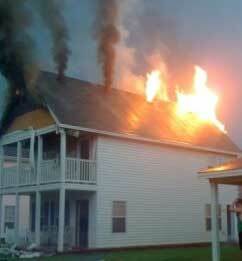 Lightning is unpredictable and a serious threat to buildings and their occupants virtually everywhere.This house in Fayetteville, AR, was ignited by lightning. Benjamin Franklin invented the first lightning rod in 1752 –- a kite outfitted with a metal key — while waiting impatiently for the completion of a church on top of which he would mount a lightning rod. Lightning comes up from the earth –- as well as down from the cloud — from high vertical features such as chimneys and trees. A typical lightning bolt carries 50,000 amps, tens of millions of volts, and can reach 50,000° F. “Superbolts” may be 100 times more powerful than typical bolts, and travel much farther, too; one such superbolt went from Waco to Dallas, Texas, after having traveled about 118 miles. According to the National Weather Service, of the 34 people killed by lightning in the United States in 2009, all were outside when they were struck. Thus, homes provide a great deal of safety against lightning strikes. Interestingly, the same report indicates that 82% of lightning casualties were male. Permanent injuries caused by lightning strikes are predominantly neurological and can include sleep disorders, attention deficits, numbness, dizziness, irritability, fatigue, depression, and an inability to sit for long periods of time. Between 2002 and 2005, lightning caused an annual average of $213 million in property damage. Damage to the structure and endangered health from mold colonies, if the building was not dried quickly following fire suppression. CSST is a relatively new type of gas tubing that has been widely installed in houses and in commercial applications in recent years. Its small diameter makes it flexible and relatively easy to install when compared with traditional, rigid, heavy-walled pipes, although this same quality is believed to make it susceptible to fire due to lightning strikes. Lightning that travels down the CSST can burn holes in the tubing and allow gas leakage and fire. 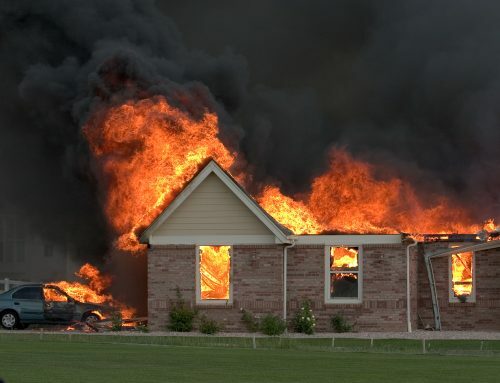 In the worst cases, gas leaks have led to disastrous gas explosions. CSST has been found to be susceptible to damage from direct and even nearby lightning strikes. These claims have lead to a class-action lawsuit against manufacturers of CCST (Titeflex, Ward, OmegaFlex and Parker Hannifin) installed in homes as of September 5, 2006. Plaintiffs claim that the CSST tubing is not thick enough to prevent becoming damaged in the event of a lightning strike, and that CSST manufacturers failed to warn consumers about such dangers. The defendants claim that CSST is safe if properly installed, in accordance with local codes and the manufacturers’ instructions. According to the Lightning Protection Institute, dangerous CSST has been installed in more than a million homes in the United States. Additional bonding to ground is recommended for houses with CSST. Unplug sensitive appliances, such as computers and telephones, from electrical outlets and phone lines. Surge protectors are helpful, but they should not be relied upon during a storm. Stay off corded phones, computers, and other electronic equipment that put you in direct contact with electricity. If you are unable to unplug them, turn them off. Lightning may strike nearby electric or phone lines and enter your home. Unplug other appliances, such as air conditioners. Avoid washing your hands, bathing, doing laundry, and washing dishes — activities that put you in direct contact with running water. Lightning protection systems are devices intended to divert lightning into low-resistance paths to or from the earth and away from non-conducting parts of a structure. 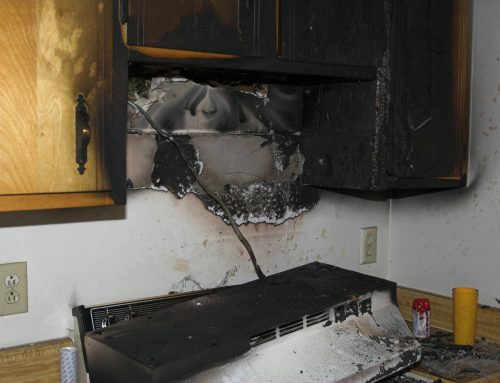 For specific inspection instructions regarding these systems, see the National Fire Protection Agency’s NFPA-780. Metal rods are fastened to the building to intercept electric discharges that might otherwise strike a building component itself, such as a chimney or metal roof. Electrical discharges striking the air terminal are directed through metal conductors to a grounding system and thence into the earth. Controversy has existed for centuries concerning whether lightning rods should have blunt or sharp tips. Recent studies have found that moderately blunt metal rods are better lightning-strike receptors than sharper rods or very blunt rods. In summary, lightning can be very dangerous to homes and occupants, although devices and measures exist to limit this danger. Article courtesy of our guest author, Nick Gromicko.